Vicky and Jade are best friends forever. So when Vicky dies in an accident, she doesn’t let a little old thing like being dead interfere with her life. Instead she carries on as usual, following Jade around and telling her what to do and how to think. At first Jade’s thrilled to have a ghost as her best friend. But what will happen when Jade realises that it’s time to let Vicky go and carry on living in the human world instead? A moving and original story of love, acceptance and moving on. I really liked this book and it had a true meaning behjnd it. The story really touched my heart s it was really sad. This should be at the top of your to do list! ’ read vicky angel!’ That’s all i need to say for this moving book! I have read a preview of this book and is truly tragic. Jade loses her best friend Vicky in a fatal car accident. How will she cope? It was a really touching story my favourite character was Vicky another good book Jacky thanks! I liked this book because Vicky and Jade were best friends. My favourite part was when they had a argument about clubs. This is thumbs up!! This book is really very spectactular. Jacqueline Wilson covers the really very hard subject [death] into a masterpiece. This book is full of emotion. Any girl 10+ who loves reading will find this book amazing. As younger ages might find this story to sad to take in. love this book and think its very touching. i cant imagine my friend gone and not here any more. A sad book, but I really enjoyed it. This book is brill and sad u should read it !!!!! The moment i started reading this book i couldn’t put it down. I started crying at some points which is really quite awkward when you’re reading this book to yourself in English and your friend next to you asks why you’re crying. The whole story was amazing so this is how it goes. Jade and Vicky have been friends forever but when they are having an argument Vicky runs into the road without looking and is hit by a car. Vicky dies but refuses to let that get in the way of her living the lie she lost. As Jade tries to come to terms with all this Vicky is constantly there. She refuses to let Jade talk to anyone and make new friends. When it comes to Vicky’s trial Jade runs out of the court room she runs into the road. When a car comes speeding towards her then…Don’t expect me to tell you everything! Vicky Angel is a brill book, and i thoroughly enjoyed it all the way through. I loved the relationship between vicky and jade, and in parts it was ever so sad, and in parts it was rather thrilling, and in parts it was funny and somewhat humerous. It’s a great book. When Jade’s best friend dies, she becomes a ghost, and follows Jade around. She can’t get up to heaven – can Jade help? Exciting and interesting book! two best friends but one dies and the other friend keeps seeng her as an angel but will her mom and dad find out? read the book to find out a great but sad book. This book is about a dead friend not allowing her alive friend to move on. A Bit unrealistic but good! 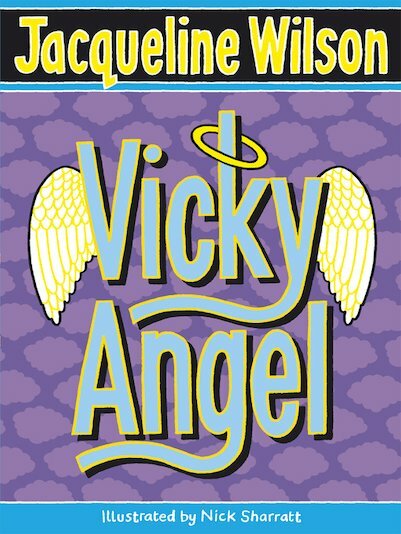 Not the best book i have read it could have been better, and most of the time i enjoy Jacqueline Wilson Novels alot but this one only had Vicky coming up as and Angel to talk to her which i found quite boring and irritating. Not my fave book in the world a bit sad. THIS IS THE BEST BOOK IN THE ENTIRE WORLD! BEST BOOK EVA COULD NOT PUT IT DOWN! this book is reeeeeeeeeely good it is in my faveroute books. I read the first chapter and i just kept on reading the next time i looked at the time it was 11:00 at night! good job i wasnt at school the next day!!! I think it is a really good book! I recommend it to people who are 8+. 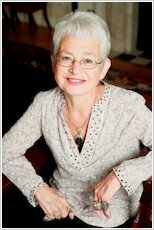 I think Jacqueline Wilson really did know what it was like to be followed around by a ghost of your best friend! I think this should be book of the year! I hope you vote it ! my friend let my read it over the holidays and i loved it its moving but at the same time nice. i Love this book i think everyone who likes the look of this book should go for it. The book Vicky Angel by Jacqueline Wilson is very unique compared to some other children/young adult’s books. Firstly, it contains a lot more sadness, shock and darkness than other books. Here is a brief plot: There are two girls called Vicky and Jade. Whilst Vicky is outgoing and strong-minded and popular, Jade is very quiet and prefers to suffer in silence. However, on their way home from school, Vicky and Jade are arguing. Vicky runs out onto the road and gets run over. Jade is very consumed with grief. Vicky comes back as a ghost but doesn’t have her wings. She follows Jade around and Jade gets annoyed with Vicky’s ghost sometimes. I found this book very emotional, humorous, sad, thrilling, shocking and unexpected. Whatever your taste in books, I recommend you read Vicky Angel because it has a little of everything in it. I guarantee you will thoroughly enjoy this amazing page-turner! It was a sad and touching story of friendship. I liked it but it was really sad. You should read this book. It was great it was sad but great!!!!!!!!!!!!!!!!!!!!!!!!!!!!!!!!!!!!!! Really good – but quite sad! I felt really sorry for Jade! But I thought it was great! Jacquline is awsome!! It was really dramatic…[spoiler]. I was so glad when Jade got therapy. It was a really good read. I loved this book it was really sad. i would totaly read this book again. Jade and Vicky are best friends. Vicky is the bossyboots and Jade just does what Vicky says for her to do. Jade’s biggest wish is to join the drama club and grow up to be a actress but Vicky holds her back she always has to be the best. Vicky died and Jade was broken no one was there to tell her what to do untill she comes back as a ghost and suddenly is meaner than before. Jade finds herself yelling mean words that she doesn’t want to say and is losing the only friend she has. in school her principal gave her consilling and she learned how she could stop Vicky from taking over her life completely. read the book if you want the details! It is great. When Vicky dies it gets reeeeeeeeeeeaaaaaaaaaallllllllllllllllyyyyyyyyyyyyyyyy good!!!!!!!!!!!!!!!!!!!!!!!!!!!!!!!!!!!!!!!!!!!!!!!!!!!!!!!!!!!!!!!!!!!!!!! !